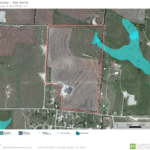 Proposed 118.539-acre site is offered at $15,000 per acre, net of oil and gas pad sites. 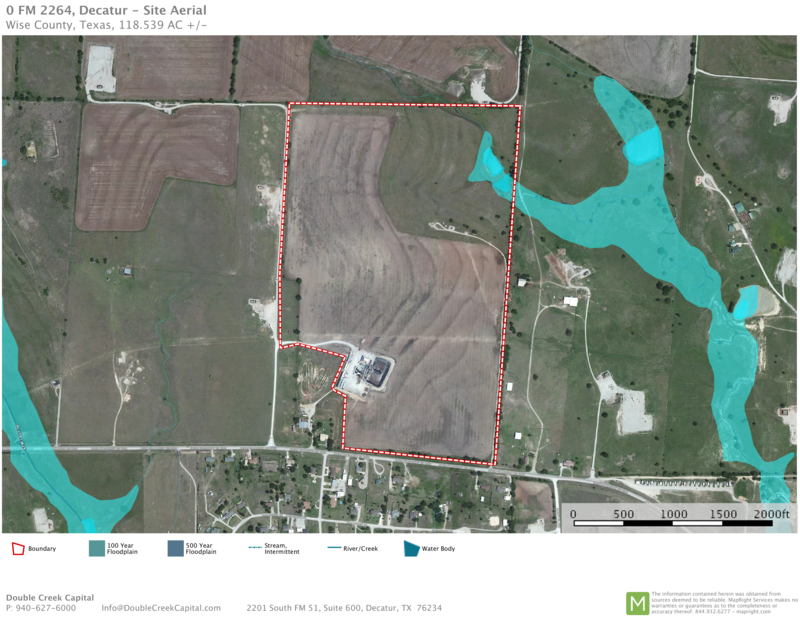 Developer will bring City of Decatur water and sewer to site, along with three-phase power from Wise County Co-Op. Natural gas is not available to site. Site is located on FM 2264, easily accessible to U.S. Highway 287/81. Newly constructed bridge and roadways provide improved access to and from Highway 287. Highway 287 serves as the major truck route between Fort Worth, Wichita Falls, and Amarillo. Property offers approximately 1,292 feet of frontage on FM 2264 allowing for multiple access points. TxDOT has begun the initial stages of widening FM 2264 in the area to 12’ lanes with 2’ shoulders. They will extend culverts to accommodate 8’ shoulders in the future. Extension of culverts will also allow for the installation of turn bays and turn refuges. TxDOT estimates construction to be completed by December 2018. Excellent location for an industrial site needing city utilities and quick access (less than one mile) to the U.S. Highway system with easily accessible on and off ramps. 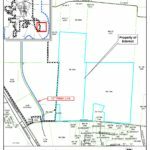 Neighboring property was recently annexed and sold to the Decatur EDC with plans to develop a business park with platted lots for industrial users. Site is also suited for commercial, storage yard, distribution, PUD, self-storage, warehouse, or single family development. 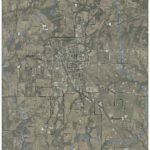 Currently positioned within the ETJ, property is adjacent to heavy-industrial-zoned land within the city limits of Decatur. Proposed site could be annexed into the City of Decatur which could make it eligible for Decatur Economic Development Corporation assistance and allow for city services. Double Creek Capital will assist in facilitating communication with the Decatur EDC, city government, and county government including the process of annexation by the city. Former EDC Executive Director serves as Vice President of Double Creek Capital.